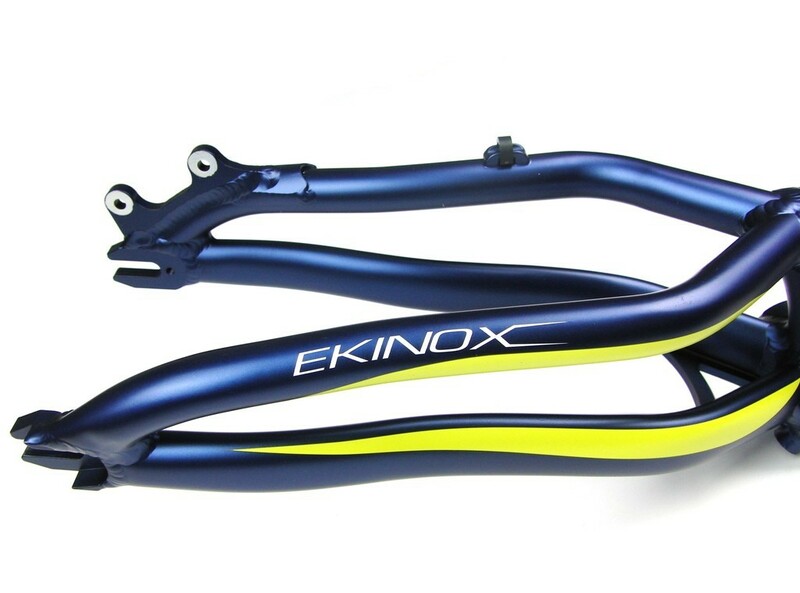 The Ekinox frame is the 20” frame from the brand B1K3, a sister-brand from Ozonys. Frame in aluminum 7005 T6 is really well built, just simple and strong. Available in disc version only (International Standard) for 160mm rotor. 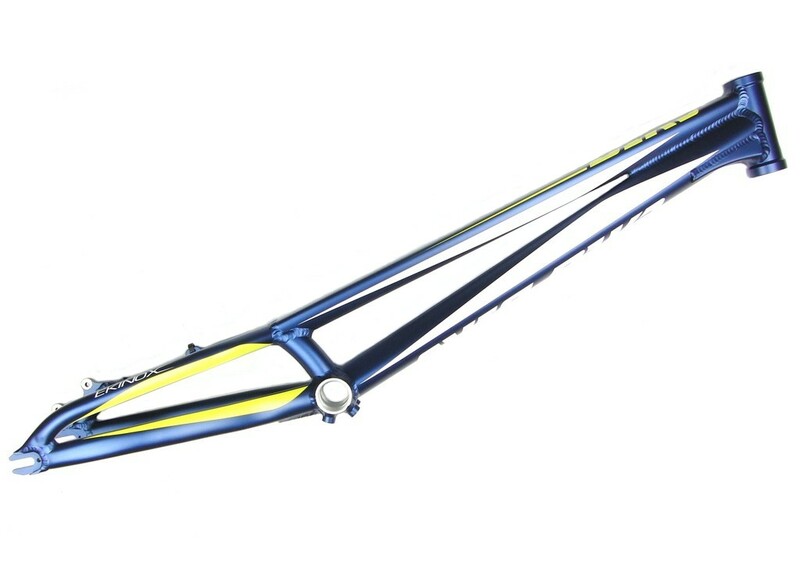 Designed to use the Bonz Bashplate (same as Curve 20” bikes). Bashplate is not supplied with the frame. 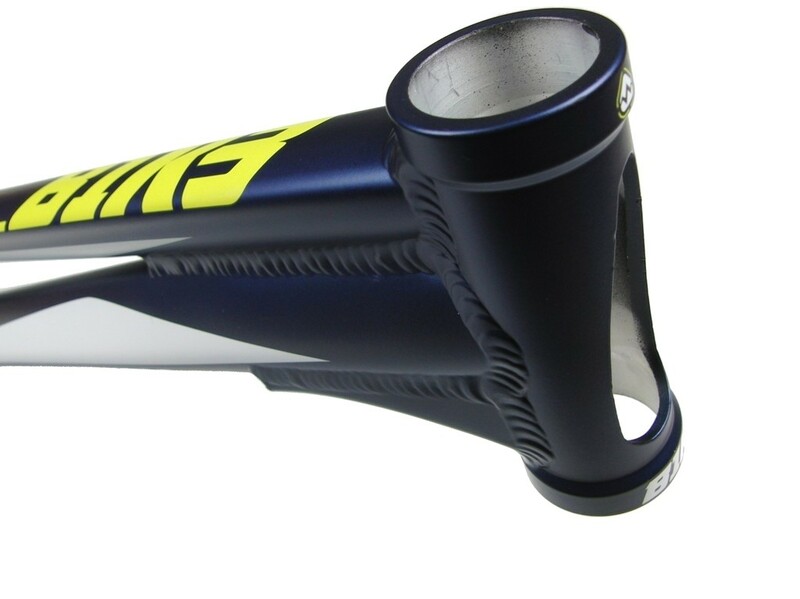 115mm length head tube for external headsets, with a large hole to save weight. 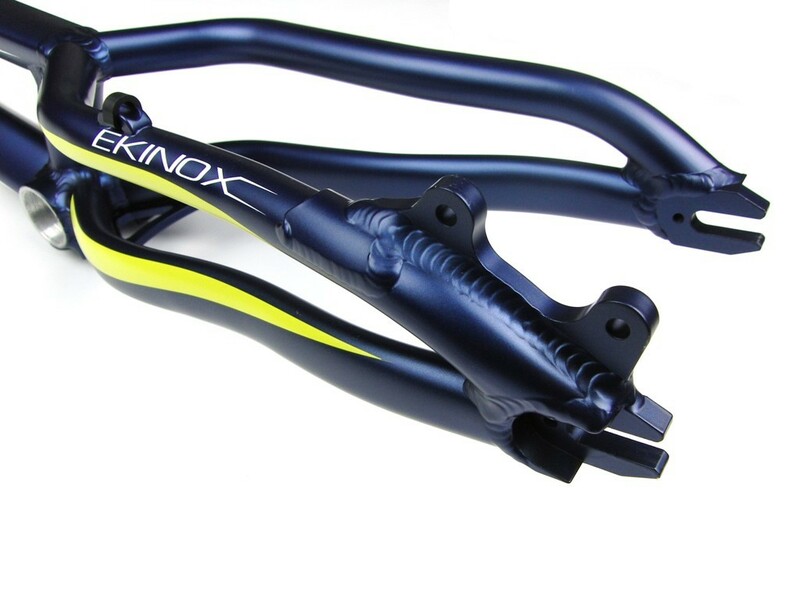 Space between dropouts: 116mm (rear axle spacing). 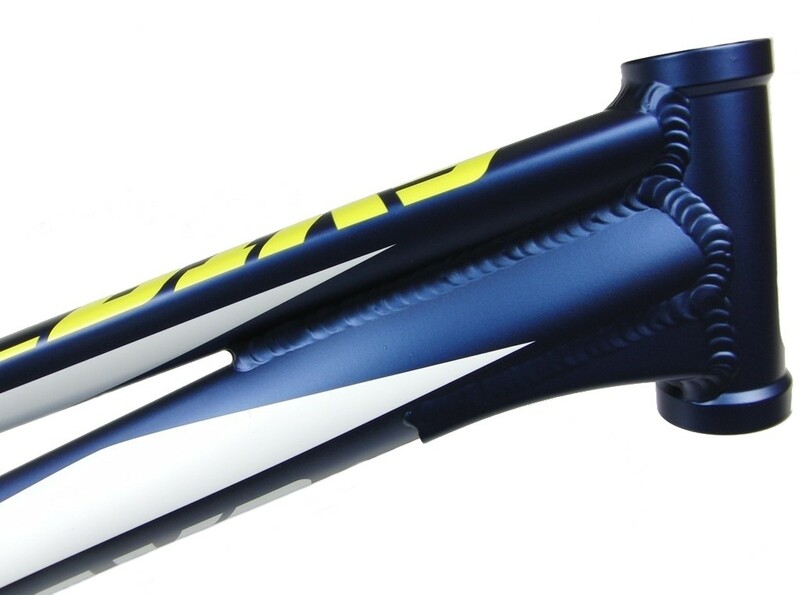 Colour: deep blue with white and yellow graphics.